Using this week's sketch I created this birthday card. I followed the sketch pretty closely with dimension added behind the sentiment and the mermaid. Love the colors you used for this card. Thank you for joining AHSC this week. What a delightful card, Amy! 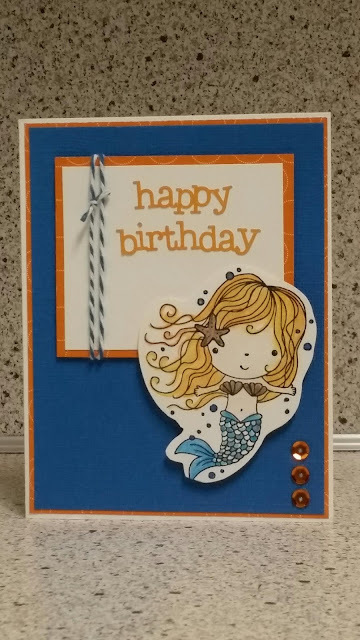 That whimsical little mermaid is adorable and the sequins are a great pairing with mermaid scales. Great take on the sketch and thanks for sharing with us at Atlantic Hearts Sketch Challenge.